To enter the Chocolate Frey giveaway, click here. With her standing in Roman society already on shaky ground, Fortunada must be careful with her reputation. After her faithless husband cast her aside and married another, the devoted mother of two wasn’t eager to let another man fill her bed—until she met Baro, Rome’s reigning gladiatorial champion. It’s in his strong arms that she finds true pleasure and, to her delight, love. When her champion proposes marriage, pledging to make her family his own, it seems fate has finally smiled on Fortunada. But her fortune takes a turn when her former husband resurfaces, demanding to take their children as is his right. With Baro having already sacrificed his career for their love, throwing away his title in a bid to break free of his contract, how can she tell him that the price of her sacrifice—her children—is too high? Will love triumph, allowing Fortunada both her champion and her family, or must she walk away from the man who’s given up all for her? 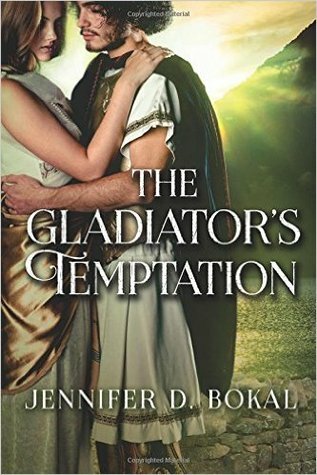 THE GLADIATOR'S TEMPTATION is the second book of Ms. Bokal's Champions of Rome series that I have had the opportunity to read. I have been very pleased with this series and especially this book. We do meet the main characters, Fortunada and Baro in the first book but THE GLADIATOR'S TEMPTATION is written in such a way that it will stand on its own merits without following the series. 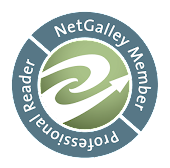 Readers are given the opportunity to see how people lived back in the heyday of Rome through the eyes of it's champions, the gladiators, and the women that they love. Baro is rather unusual among gladiators in that he started out as one of the patrician classes and joined the gladiators by signing a contract with a ludus. When he falls in love with Fortunado, he discovers that getting out of the contract isn't quite as easy as getting into one. When Fortunado's husband divorced her, she wasn't planning on becoming seriously involved with anyone. She didn't count on Baro. But just as she discovers happiness, her ex-husband comes back to claim his property, his children, and her. She won't give up her children to be with Baro so she agrees to remarry her ex-husband. And then things become complicated. I would recommend any of my readers who enjoy historical romances to check out Ms. Bokal's Champions of Rome series. I am sure that you will fall in love with the characters and the setting as I did. Chocolat Frey Review & Giveaway!